A wailing and gnashing of gums. Don Silvio is not happy. He has been plotting complicated manouvres to keep his influence in parliament and put the mockers on the M5S, and it has come to nought. Last night it seems that all the carefully plotted alliances with the Lega of Salvini hit the fan. Silvio has been insisting on the sentenced Romano as candidate for the Senate’s presidency. The M5S said no to any candidate with a criminal record. Berlo pushed ahead anyway, thinking he could get the %Stars into a corner. Yesterday Salvini proposed the fragrant lawyer Bernini – ex Lega, and now one of Silvios closest allies in Forza Italia. The 5Star said they had no problem with such a candidate …. except nobody had told her, and she came out and said it wouldnt be possible without Papi’s benediction, which was not forthcoming. What did come out was an explosion of bile anda declaration that the centre right pact is no more, and Romano will continue to be the right wing preference. Which of course will mean the Di Maio will make a pact with the PD for a PD president of the senate. We’re only onthe first day of a possible new legislature and already the lambs are being led to the slaughter – all very Eastery. Posted on 24/03/2018 by rammers. 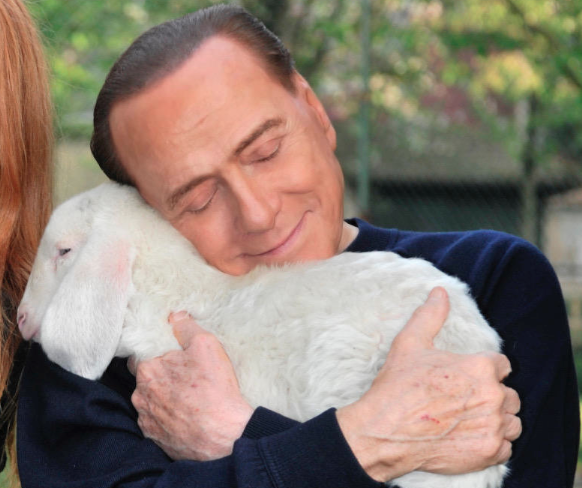 This entry was posted in Uncategorized and tagged Berlusconi, Election Senate. Bookmark the permalink.